City Car Club has now launched 5 new car club cars in SW18 and three in SW15. All the cars are brand new including FIAT500 Twin Airs. City Car Club has 250 half price memberships with £25 free drive time to launch City Car Club in Wandsworth (saving £50!). This offer is only available to residents of the London Borough of Wandsworth. To claim this quote WAN341 when joining City Car Club. 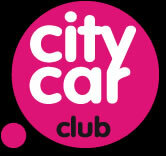 If you are already a member of another Car Club you can join City Car Club for free! See our ‘ What does it cost‘ page for details.